You will be surprised by each human’s ability to self-heal. To activate these abilities, you have to combine your body, mind and spirit as a whole. 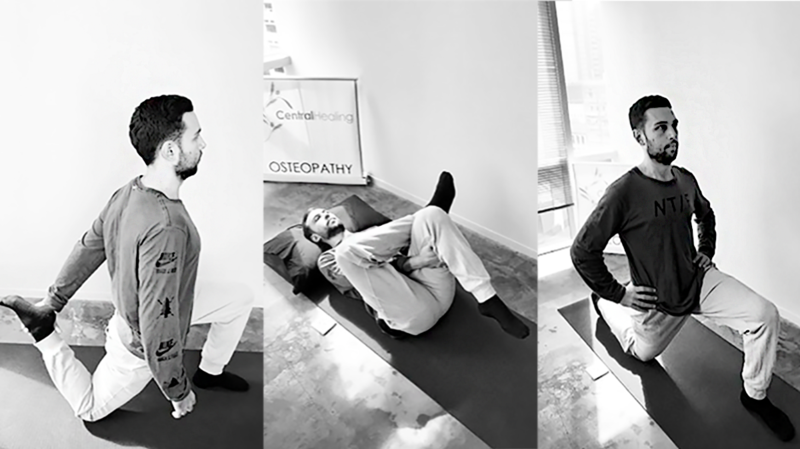 We sit down with Ms. Chung Sze Chan, a Director/Principal Osteopath at Central Healing to learn more about treating your body in an Osteopathic way. Osteopathy looks deeper into your pains and finds out why they are happening or why they keep happening. The difference between Osteopaths, Chiropractors and Physical Therapists cause some confusion when we decide to have a consultation with a practitioner to ease our body pain. Osteopaths take a broader approach and treat a larger area while Chiropractors and Physical Therapists tend to focus on treating specific pain-related parts. “Riders are very active athletes so having an Osteopath session to release the deep muscle tightness in your back, gluts and legs whilst realigning the spine will not only maximise your performance but prevent any potential injuries.” says Chan Sze. She suggests to spare some time after an intensive workout to stretch and foam roll muscles that you have just worked. Muscles shorten after every workout and makes them more prone to tears and sprains. By stretching and relaxing the muscles post workout, it will improve your flexibility and strength, allowing you to keep riding for many years to come. Here are some Osteopath guided moves you can perform at home to further strengthen your bones and muscles. Before working out we should focus on dynamic movements to help warm up our muscles and increasing blood flow throughout the body. This will help reduce the risk of injury. Repeat each leg 8 reps x 3 sets. With your other leg stable (can bend slightly for support) take your swinging leg across the body and repeat. After working out it’s best to peform static stretches, these will help with post exercise soreness and optimize your recovery. Set up in a lunge position with front leg at 90* and knee stacked over the ankle. If you are not feeling stretch in the hip flexors progress to the second stage. Reach behind the body with your opposite hand – Using the left hand to hold the right foot and shift your body weight forward, this will engage your hip flexors. Hold for 20-30 seconds repeat 3 times for both sides. All XYZ riders are entitled 50% off of your initial consultation with Osteopath Mr. Peter Fishman in January and February. If you would like to enjoy the discounted rate at Central Healing, please quote XYZ when booking and present your ride confirmation emails in person at the clinic.